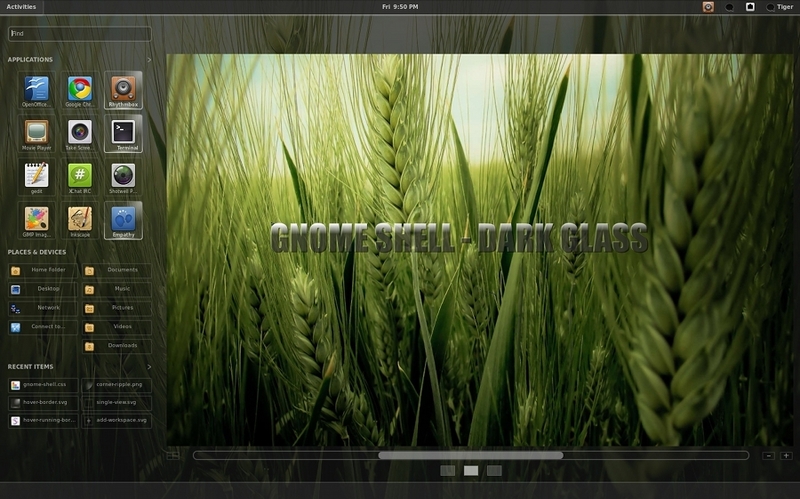 Top 6 Gnome Shell Themes Ever! If you are a regular reader of our blog, you probably need no introduction to GNOME Shell and its capabilities. 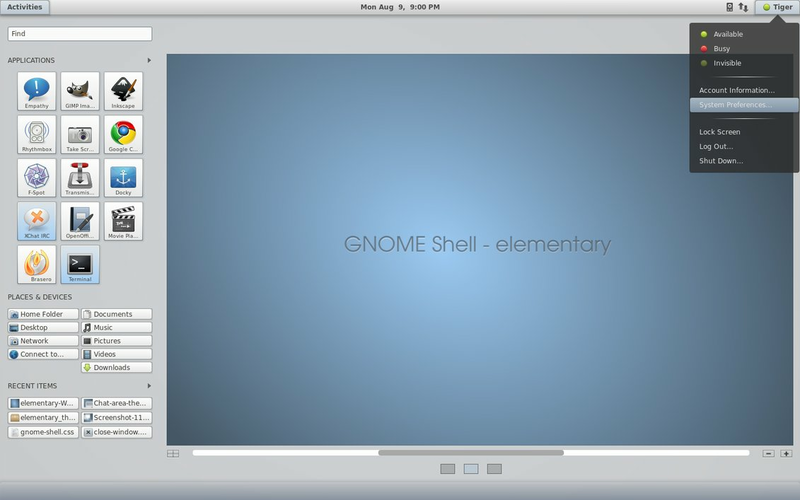 We had a complete review of GNOME Shell before, and we were quite happy with the way it was evolving. GNOME Shell, even though it is still in its early stages of development, was an absolute delight to use. 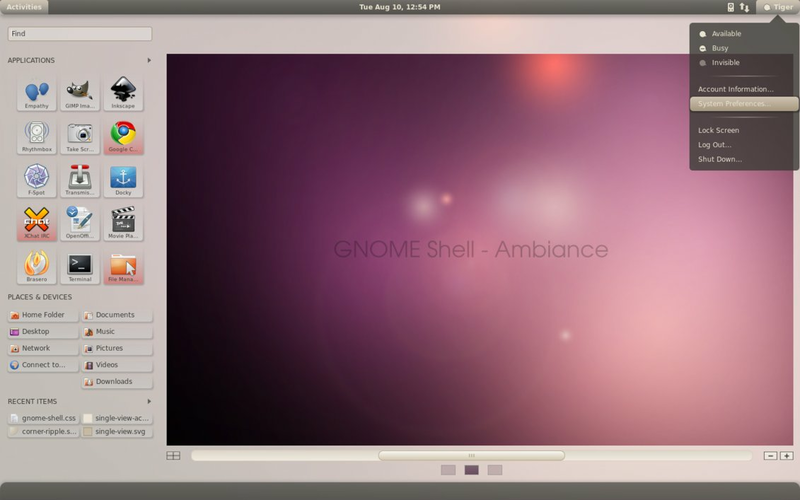 We had featured 4 GNOME Shell themes before, 2 more themes are on its way and its all getting a bit cluttered. So I decided to bring all the themes under one roof err.. post. 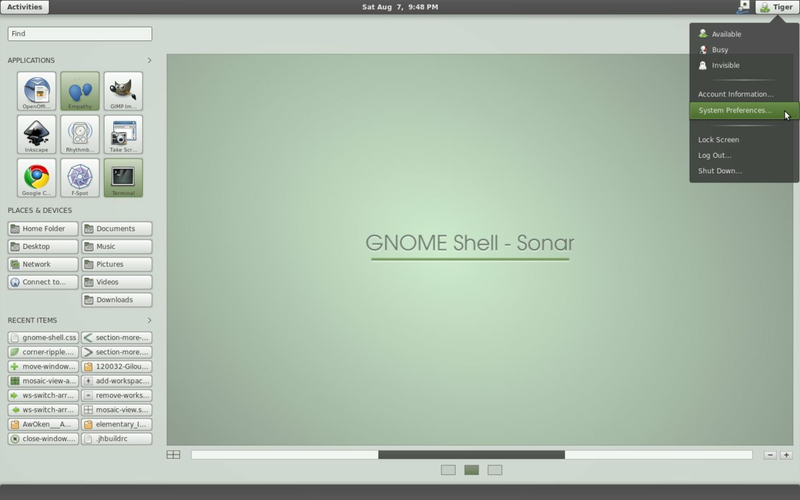 So here are 6 of the most beautiful GNOME Shell themes I have ever seen. Download Dark Glass GNOME Shell Theme. 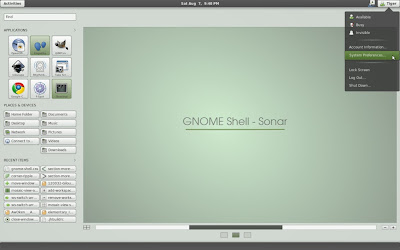 Download Gaia GNOME Shell Theme. 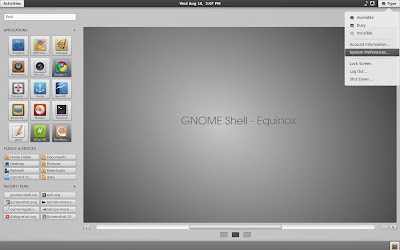 Download Equinox GNOME Shell theme. Done. You have your new GNOME Shell theme installed and running great(hopefully). All of those themes are awesome works done by half-left. Big thanks mate! Between, I haven't tried the two new themes in Ubuntu yet, primarily because I am on Ubuntu 10.10 beta, and I don't want to mess around much while its still in beta.